2010 In Review | I Want Ice Water! The Louvre Museum has 8.5 million visitors per year. This blog was viewed about 84,000 times in 2010. If it were an exhibit at The Louvre Museum, it would take 4 days for that many people to see it. In 2010, there were 218 new posts, growing the total archive of this blog to 519 posts. There were 350 pictures uploaded, taking up a total of 29mb. That’s about 7 pictures per week. The busiest day of the year was February 2nd with 596 views. 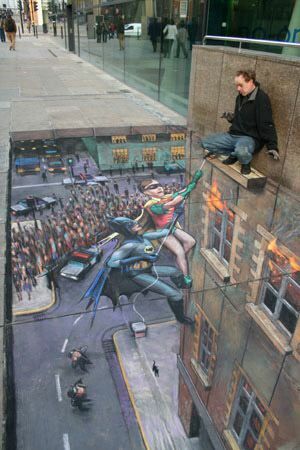 The most popular post that day was Julian Beever Sidewalk Art. The top referring sites in 2010 were facebook.com, WordPress Dashboard, madhatters.me.uk, mail.yahoo.com, and en.forums.wordpress.com. Some visitors came searching, mostly for rodney king, apollo 11, julian beever, reginald denny, and apollo. Looks like we’ll both be busy trying to top posts from the pasts. I’ve been reading a lot of these, including my own, and they make me chuckle pretty hard (nearly a manic laugh). Happy New Year, may you compete with the Louvre all year. Looks like you got the impressive flavor of “wow” and not the “participant” flavor what was handed out to me. Well done! And I still love that image! That is freakin’ awesome! Congrats!!!! Look forward to more awesomeness in 2011 from you! How come you and Rick’s WOMP have the same post?! Hi Poch! I’m not sure what you mean, but most of us got emails from WordPress containing their 2010 stats. It also included a button to post the info to our blogs. You didn’t get one? I’ve heard that some people haven’t gotten theirs yet. Hey IzaahMak, thanks for the tip about the WP 2010 review. Very impressive stats from a very uniques and awesome blog! Great job! I am looking foward to what you put up here this year. And of course my favorite blog address has done a very nice job. Here’s to more Ice Water in 2011! Impressive stats, sir .. does not surprise me one bit !! I’m beginning to feel a possible future post for I Want Ice Water, LOL! Sigh. Must be the migraine that is making me so tetchy. Mean it on the congrats. That’s too bad! I wonder if WP support can help? NO, no they can’t. LOL!